Artur Jarosik - a breakthrough if it comes to 68k browsers? 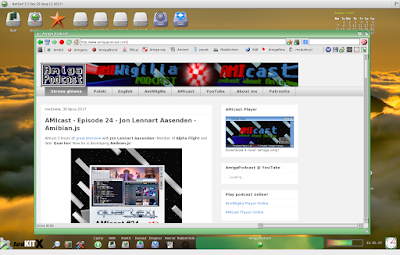 It's been a while since Amiga 68k had a good and polished web browser. Until now the most popular is the old IBrowse. Would Artur and his NetSurf for AmigaOS 3.x have a chance to change this situation? NetSurf is a web browser, available and created for many systems. In the Amiga world we have a version for AmigaOS 4.x and for a couple of years the ever-extending version for the 68k and AmigaOS 3.x processors. The port has been created by Artur Jarosik. 1. The usual warm up question: first computers and how did the adventure with Amiga begin? My adventure with Amiga started in 1993 when I got the Commodore Amiga CDTV. Computer ahead of its time, CD-ROM, flash card slot and wireless remote. The wireless gamepad was only available to the Playstation 3 14 years later (In my case). Atari also had one too but the radio range of the pilot made it possible to control other Atari in a 300m radius: D, which never led to a mass production. 2. What Amiga do you use? Is your main system AmigaOS 3.x and can you test its newer versions? All in all, I accidentally got the V500 instead of the V600. Besides, I'm using WinUAE with AmiKIT X (I'm a beta tester). I test non-FPU version on ClassicWB. I'm planning on buying a new Vampir V4. I'm in Apollo Team by the way. The V4 will be based on the Cyclone V (now Cyclone 3) and therefore there'll be more FPGA capacity. Hence? Faster FPU processor. The FPU is present in the testing phase. The V4 will have 512MB of RAM, USB ports and built-in Ethernet. It will be able to work without Amiga and practically it will be the new Amiga :) And if someone prefers "real feel" then you can use it together with A500 / 600 or A1200. 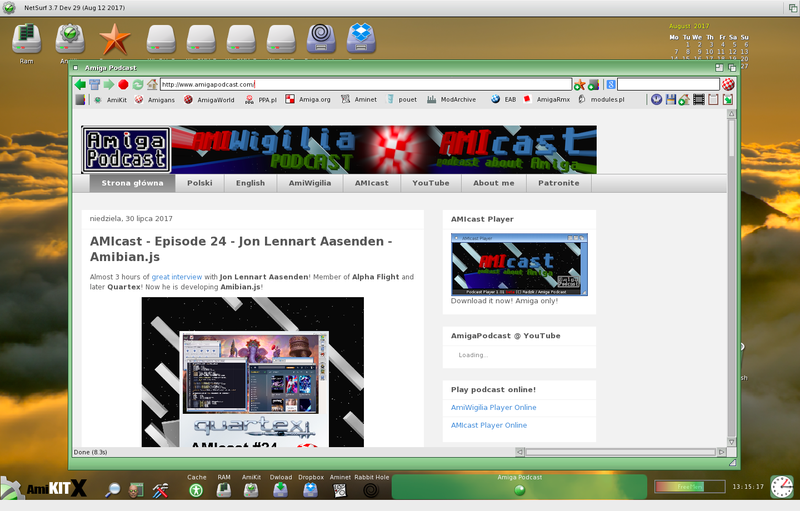 As for NG, I have the original AmigaOS 4.1 installed on the WinUAE emulator. 3. Where did the idea of a browser come from? When did it start? Do you port it on your own? Does anyone help you? Do you have any beta testers? My adventure with programming on Amiga started in 2008 from a port of Open Red Alert game. I worked with Bernd Roesch on improving libnix, ixemula, and SDL. There was no CSS browser at the time. So there was a bounty on the Firefox port, which in the pool had quite a large amount. Probably $ 10,000. Having only experience with SDL, I was looking for a browser to use this library. Firstly, I started with OWB AROS. I already had 90% of the compiled whole, however, the complexity of the project overwhelmed me. There was already an OWB port, but the requirements were very high. 060 CPU with 500MHz :). So we needed something less demanding. In 2009 I had come across a thread about NetSurf on Amigans.net and this is how it all started. After some months I had a working version. The first release badly displayed colors (no endian conversion). The error was fixed by Bernd Roesch with whom I had been working for some time. Mostly catching bugs. Then errors were reported by users via email or EAB and PPA forums. 4. How long did it take to release the first version of NetSurf for Amiga 68k? How much time do you spend on creating current versions? As I wrote above, the release of the first version of NetSurf took me about a month. It takes me a while, Every week I add or update sources or update curl libraries, png or ssl. I have a difficult task because my sources are not in the official repository so any major change is for me working on a "clean" code. 5. What's your view on the recent development of NetSurf 68k? Do you plan to improve your speed? Unfortunately, even 68060 processors are too slow for Netsurf. Unfortunately, on my part this is unrealistic. 6. How do you see the long term future of NetSurf? Over the time, version 4.0 should be released, offering HTML5 and JS. Probably 68k processors will be too slow to handle such novelties. Unfortunately, work on NetSurf has slowed down, and I'm not sure if JS or HTML5 will be implemented at all. Only one new CCS3 feature has been added within 3 years. Of course, the sources are open and anytime and anyone outside the NetSurf team can add the aforementioned mentioned features. Apparently, the OWB version for Arosa m68k is not so slow therefore OWB may be a new hope for a modern browser on the next Vampire with a fast FPGA. 7. The program's preferences are now written in MUI. Are you planning to use MUI in general? It would probably affect the speed greatly. Chris Young's version, which uses ReAction, is quite fast, but it often freezes. My version scrolls faster on Vampire with SDL library, which requires fast memory. 8. Will NetSurf 68k work under MorphOS, AROS or AmigaOS 4.1? There is already a version without fpu. Of course due to Trance and Petunia. On Aros m68k it works natively. 9. Do you plan to work on NetSurf for AmigaOS 4.1 and 3.9 (3.5) with its author who uses ReAction? Surely the joint work of two developers, you and Chris Young would bring a lot of good for the development of the Amiga NetSurf. 10. Referring to the previous question, isn't it best to collaborate at the level of key software between different people in the 68k environment, MorphOS, AmigaOS or AROS? 11. Have you thought about some financial support for you or your project? Do you think the Amiga environment is ready for any commercial applications? Q1: Grants can be submitted on the project page http://ami-soft.blogspot.com/. Sometimes I get support, mainly from abroad. Q2: The Apollo-Core project has shown that amigans can work together effectively. I hope that faster processor speed will contribute to new projects. This is already the case. There are more and more good game ports. Too bad AmiStore 68k did not work out. I think that programs for a few dollars would encourage developers and users would be more willing to support the creators with small amounts. Another idea is Patreon, through which the authors of Tanks Fury or Brigde Strike are supported. 12. What feedback do you get from browser users? Do you think that in the future your NetSurf can become the main browser for AmigaOS 3.x systems (especially in conjunction with FPGAs)? The users mainly report bugs, but there are also examples of how to use it, for example, the installation script in older versions, giving me the MUIBuilder that I used to create the Preferences or recently, improving the locals by HanSolo. 13. Do you need any help in Netsurf development? Are you planning any other projects for Amiga? As for main help, I am using stackoverflow or PPA forum or EAB. Krashan's MUI course helped me to create 'Preferences'. My other projects are at https://artishq.wordpress.com/. They are mainly SDL game ports + old ports of Grafx2 pixelart program. Recently I've been working on game ports that work great on V500 / 600, including HHexen, Zelda ROTH, and OpenTyrian or just released MiniSlug, which runs very fast, even too fast, hehe. Cave Story is in preparation and other ports are waiting for a more powerful Vampire, eg SNES Snes9x emulator. A significant increase in speed is provided by AMMX instances, implemented by SDL author EaglePlayer and new Riva, Henry Ritcher. Besides, I'm the beta tester of the new AmiKIT X for the Alice computer and the Apollo Core team is testing the new cores. 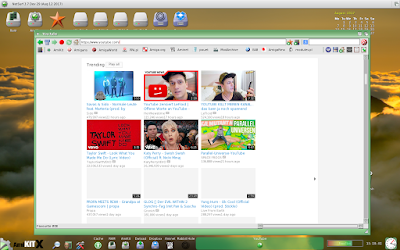 I like AmiKit because it has a modern AmigaOS look (almost like OS4) and it's convenient to use. I'm referring to Dopus Magellan 5.82, for example, you can make a shortcut to an FTP server on your desktop. Besides, I'm checking all my ports on it. Finally, in the latest version of X, you can even run Windows or Linux programs, but I do not use it. 14. What does your workshop look like? Do you work on Amiga or on an emulator? What development tools do you use? I am working on an emulator which is very comfortable as soon as it works. Every day I use notepad ++ to edit code and distribute Debian to the virtual machine that I'm using to compile with gcc 3.4. I hope that bebbo will complete the gcc version 6.3, which is the fastest in the tests. I would work on Amiga but I did not find gcc 3.4 for motorola. Version 2.95 is already too problematic. My MUI preferences were fixed on AmigaOS in MUIBuilder on WinUAE, as I mentioned earlier, and SimpleCat for location. I have also worked in Bash On Ubuntu On Windows but after Windows crash, I got back to VM. The VM is very convenient for backing up. 15. 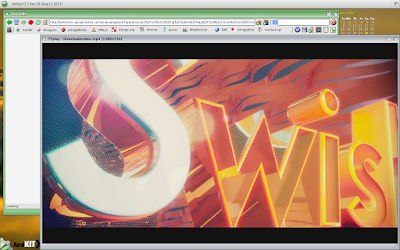 How does a NetSurf author see other Amiga browsers? What do you think about IBrowse, and what about the Odyssey Web Browser? Odyssey is the best NG browser. It supports new technologies but for the classic it is too demanding. Only fast FPGAs could pull it off like the announced Vampire card on Arria 10, which is only planned. As I wrote above, the next Vampire will be based on Cyclone V, which is at least 20% faster than Cyclone 3. 16. What do you think about the Amiga community? The division to retro hardware and three next gen systems does not make software development easy. How does a developer see this? Having many systems to choose from makes everyone can find something for themselves. I do not have a problem because I only program on the classic, and as I wrote above I have a simplified task because on OS4 or MorphOS programs work right away. 17. Will the "revolution" in the form of FPGAs, implementing the 68k series processors and high-end graphics cards, help revitalize the Amiga software market? There will definitely be new programs or ports that would be too slow, such as those based on SDL libraries. SDL applications work fast on Vampire cards because they have much faster access to memory what this library requires. 18. But maybe it is better to try to focus on new solutions like AmigaOS 4.1 or NG systems in general. NG systems are definitely easier to when it comes to porting programs because they have updated developer tools. For me, the hardware is too expensive for OS4 and I have a sentiment for the classic. 19. Fighting this amiga multi-system turmoil, perhaps the answer to this is Hollywood? Many developers despise this solution. How do you see it? I have not used it, though, I admire the creator. He supports all platforms including WarpOS! I'm glad there is something like that and perhaps I can buy it myself and check what it offers. 20. Do you think there is still a chance for Amiga? Didn't the PowerPC route turn out to be a mistake? Perhaps it is worthwhile to switch to other processors or solutions based on the Linux kernel? In my opinion, it is too late to return Amiga to the mainstream. PPC disappears from the market and is becoming more and more expensive or appears to be simply a blind alley. On the other hand, MorphOS runs on low-cost Macs offering good performance for the internet and games. If 20 years ago Vampire appeared for Amiga it could've been very popular today and X5000 computer would have been a lot cheaper, then surely there would be interest also from the main stream. 21. NetSurf works best under the WinUAE emulator. What do you think about emulation of the Amiga 68k, PowerPC or even AmigaOS 4.1? I like launching occasionally OS4.1 on the emulator. It works really well. The emulation has already been catching up with OS3.x. I have even managed to fire up NetSurf on it (no FPU version) :) and it worked pretty ok. It could have been faster but I do not have the latest processor. 22. Retro returns with enormous strength in every area of life. Is this a temporary trend or is it something solid? I would like the retro to evolve enough to make people start to notice Amiga and Vampire. It would be great if they created as much buzz as the new Atari console. Translation by: Sir_Lucas / CHAL / The Amiga Ireland Podcast.